Kids birthday parties are becoming more and more elaborate in all parts of India. Not long before, birthday parties for kids in Bangalore, Chennai and other parts of India were just simple affairs hosted at home. However, times have changed and kids’ birthday parties are now being hosted in big party halls with a scrumptious spread of food items. Kids nowadays have a huge list of friends and they will want to invite everyone for their special birthday party. You can choose find a party venue in Bangalore after checking the guest list of your kid. If you have only a few guests, you can either hold the party at home or at popular fast food joints like Pizza Hut, Pizza Corner and KFC. Most of these fast food joints in Bangalore will be happy to accommodate your kid’s birthday party on a floor of their outlet. An endless supply of Pizza, fizzy drinks and other fast food delights, such party venues in Bangalore would also accommodate entertainment options like a juggler or a magician to help you bring in more fun to the kids birthday party in Bangalore. 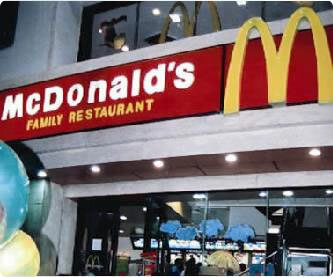 Some other party venues that you can consider in Bangalore are Mary Brown and McDonald’s which also offers special kiddy-sized meals, toys and balloons and the kids can also get their picture taken sitting next to the clown. If you are planning something bigger, you can also get in touch with Amoeba, which has a bowling alley and gaming centre for kids. You can also arrange great food at their place and make the day fully worthwhile for your daughter or son. Opus is another great kids birthday party venue in Bangalore. They can set up street-food stalls for your kid and also help your arrange special games for your kid and her friends. Jaamba Jungle is also a great place to hold a rocking birthday bash in Bangalore. Their coin-operated amusement games and video games would make the place a big hit amongst the kids. You can also organize a kids birthday party in a big resort like Club Cabana. Such venues will also arrange water slides, huge play areas and various other facilities for a perfect birthday party for kids. 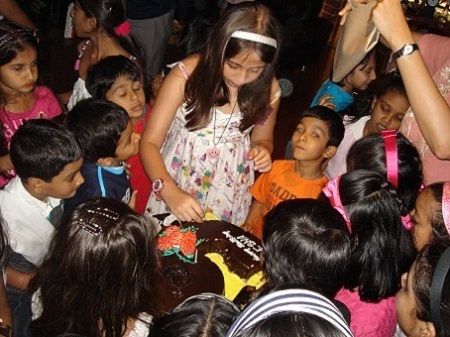 Parents D’Lounge is also a good place to host kids birthday party in Bangalore. You can include various entertainment options like a Puppet Show, Karaoke for kids with rhymes, dance music, and almost anything within your customized budget. Moming in Koramangala and Claytopia at Indiranagar are also excellent party venues in Bangalore. This entry was posted in Birthday Party, Ideas for Kids Birthday Party in India, Uncategorized.